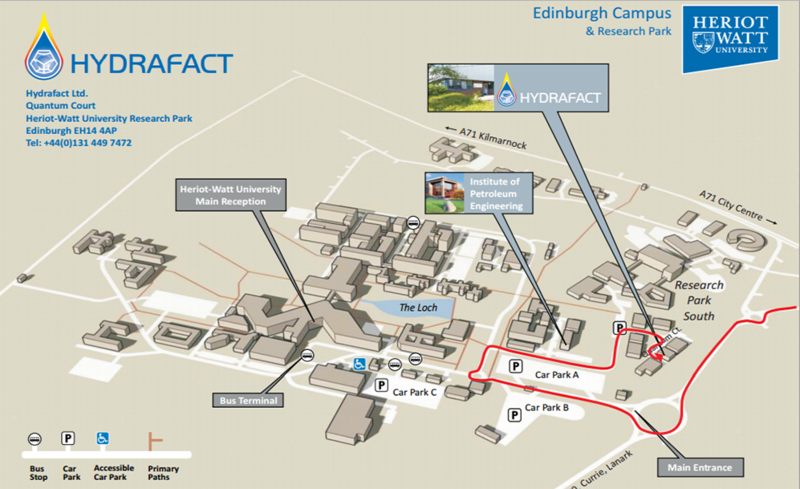 Hydrafact is located in the South-West of Edinburgh at Edinburgh's Heriot-Watt University campus at Riccarton. Hydrafact's office can be located in the South Research park which is directly adjacent to the main campus entrance. Our office can be travelled to by car or foot and there are free parking spaces available directly outside our office. 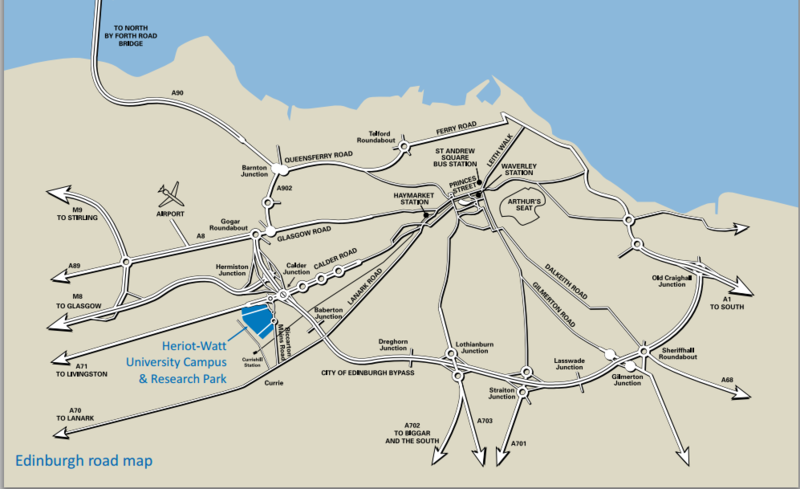 As well as this, there are various modes of public transport which travel to the Heriot Watt campus and the near vicinity where our office is situated. The 25 and 34 bus service provided by Lothian Buses travels directly to the Heriot Watt Campus and our office is then within 5 minutes walking distance.